The Alumni Stop By Band Camp… with Ice Cream! (8/22/2012). Read more and see photos on the Spirit of Stony Brook Alumni page. Thank you dedicated Stony Brook University alumni volunteers! Stony Brook University Marching Band Alumni Award 2012. Once a year, we the alumni group, offer up the opportunity for current band members to win a scholarship. The alumni of the Stony Brook University Athletic Bands have created this award as a way of supporting and encouraging current members. The camaraderie, musicianship, leadership, and the spirit of the band that you all experience now, has touched and changed each of our lives as well. For this reason we would like to recognize those members of the band who exemplify these qualities and are committed to helping keep these values strong by teaching those around them . 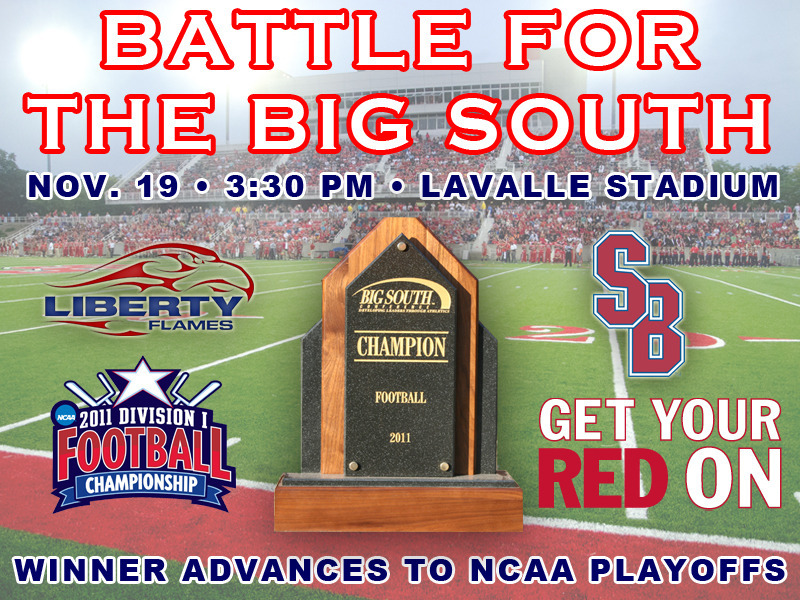 Battle for the Big South Championship! Get Your Red On, It’s What We Do! Every so often, one of our alumni do something awesome and we just have to spread the word. In this particular instance Geoff Bansen made the news….or rather he made the weather….well you see where I’m going with this. Bansen appeared on Pix 11 morning news to speak about his activities with the American Cancer Society and also had a chance to do the weather. Check out the link/video below. Being invited to march in the historic parade shows just how far the band has come since its inception. From an initial group of 17 students in 2006, the organization today has about 150 members and includes a color guard and dance team. The honor of being selected for the parade comes with a $20,000 scholarship gift sponsored by the Columbus Citizens Foundation, a cultural and philanthropic organization with a deep commitment to education. “We are excited to be participating in this prestigious parade, but, more importantly, the parade committee will be sponsoring a four-year scholarship for a Stony Brook student,” says Director John Leddy. Leading the Stony Brook procession down Fifth Avenue will be Samuel L. Stanley Jr., MD, President of Stony Brook University, Richard T. Nasti (’78), a member of the Stony Brook Foundation Board of Trustees and Senior VP and CFO of H. J. Kalikow & Co., and Stony Brook’s mascot, Wolfie. 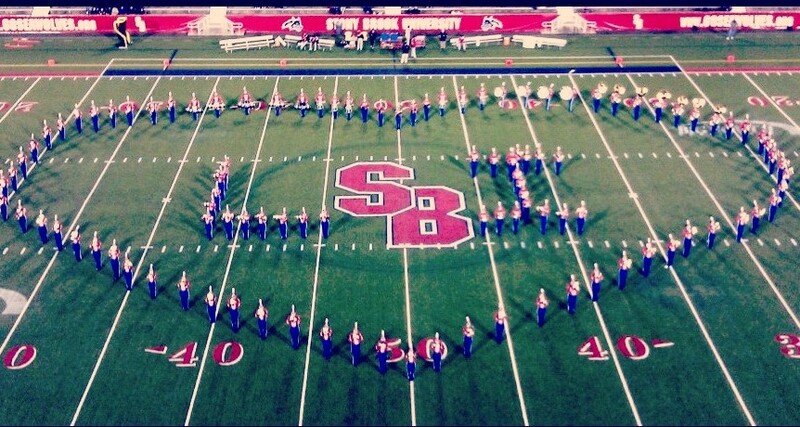 The Spirit of Stony Brook consists of approximately 150 band members including a Dance Team and Color Guard. The Parade will be broadcast live from Fifth Avenue in Manhattan on WABC-TV from 12:00 pm to 3:00 pm EST. Rebroadcast on PBS Sunday, October 16 at 9am.